As runners take off in Monday’s Boston Marathon in what is predicted to be cold and wet conditions, many will benefit from their run in Malden last month. 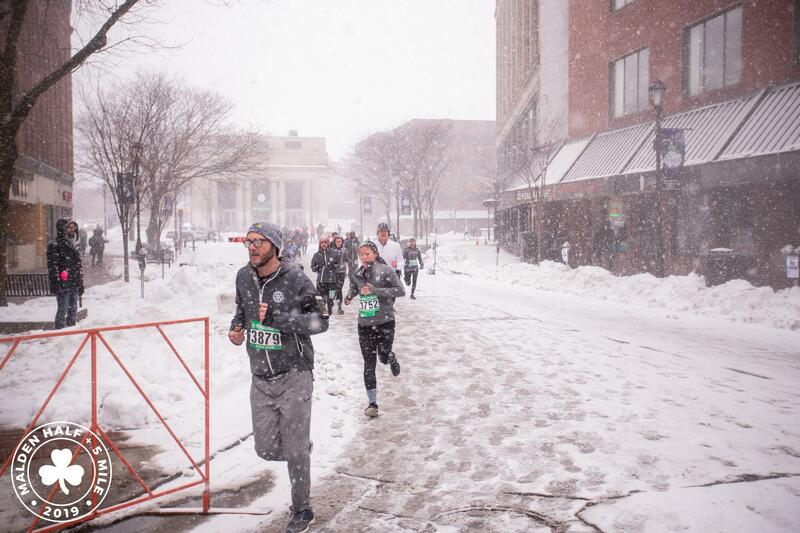 Amid harsh, snowy weather, about 3,000 runners from 22 states, including many prospective marathoners, participated in the 17th Annual Malden Rotary Road Race on March 10, which featured Malden’s first half marathon and annual five miler. Christenson, who also participated in the five-mile race, said the community bonding and fundraising experience from the marathon make it more than just a race. Half marathon runners ran around Downtown Malden for five laps while five-milers ran for two laps. Matt Griffin of Charlestown and Deb Downs of Watertown won gold as the first of the Masters Man and Masters Woman for the half marathon, according to race results. 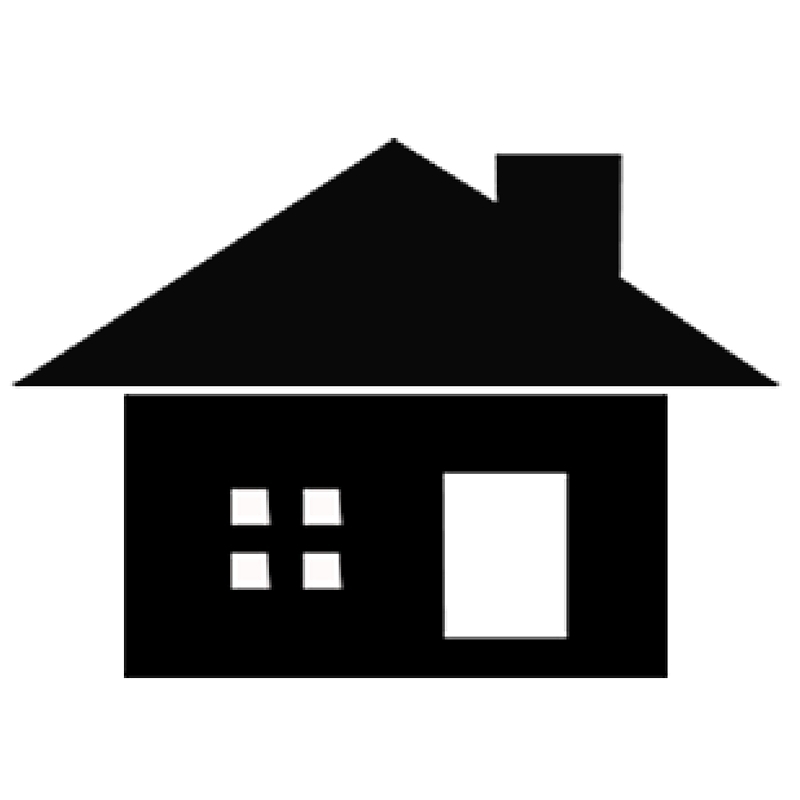 There were 860 finishers in the half marathon and 1,301 finishers in the five-mile race. Duffy said he thinks it was a “fantastic first effort” to get 2,200 runners, as it is the first time the event has included a half marathon. The organizers set up a finish line block party, sponsored by Idle Hands Craft Ales, with free foods and drinks. 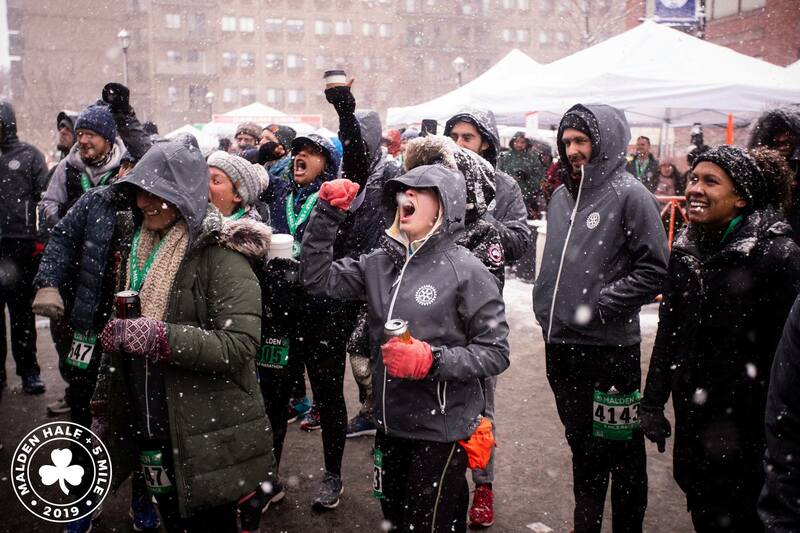 Duffy said although the snowstorm arrived in the second half of the second race, it didn’t seem to affect people’s mood in the lively after-party. 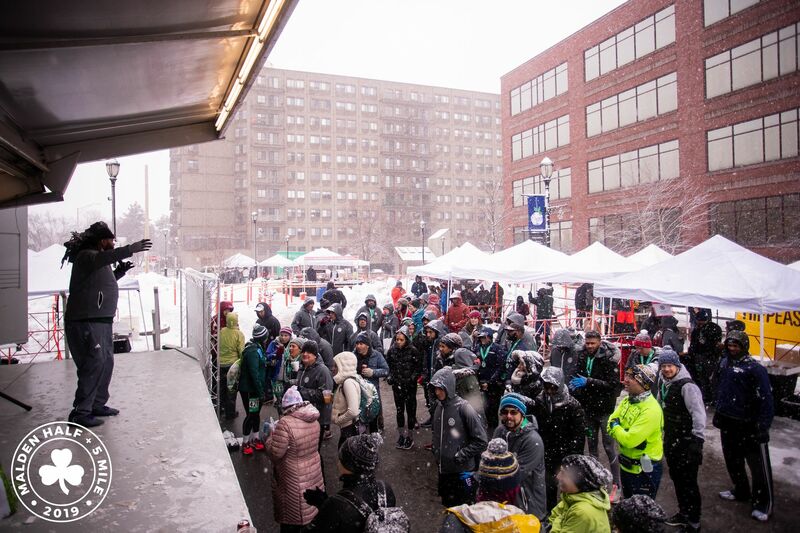 “I think people really love the spirit; there was a DJ and beer and we showed off a lot of Malden businesses, so it was just a fun festive atmosphere,” Duffy said. Duffy especially thanks the Police Chief and the officers for their involvement in securing the public safety of the area. “If we do this next year and we get great weather, this is the kind of thing where we could expand into a lot of businesses, and really make it a great atmosphere in the downtown, invite more spectators, and just make it a real party,” Duffy said. 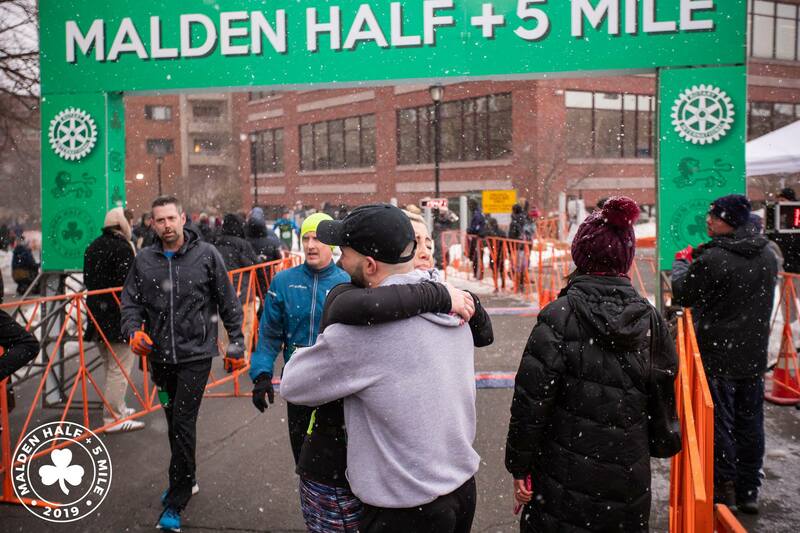 The next Annual Malden Half + 5 mile will be held on March 15, 2020. All photos courtesy of Malden Rotary Club’s Facebook page. 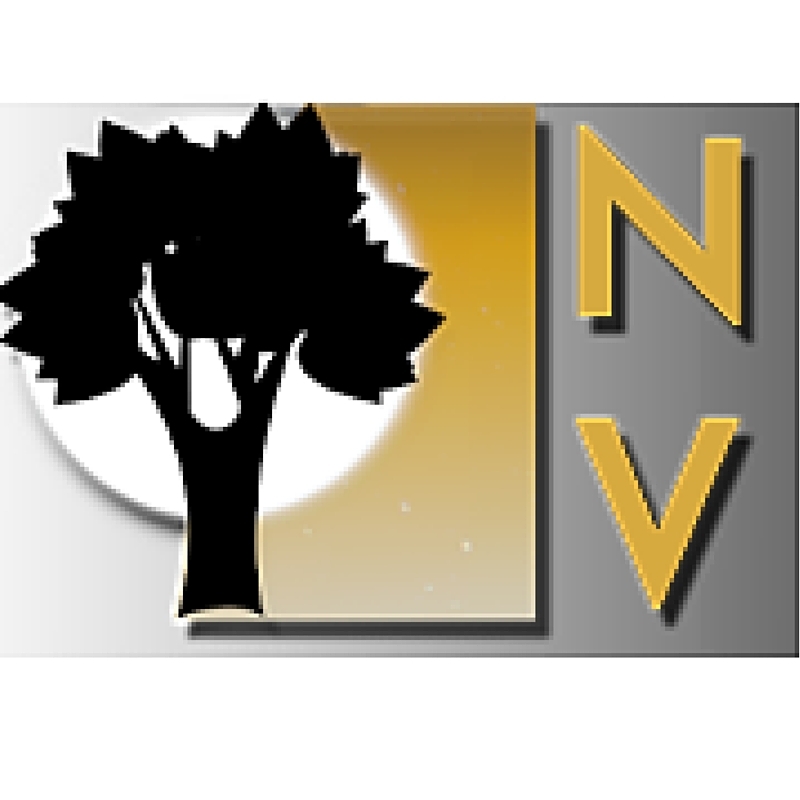 Frances Hui is a journalism major at Emerson College, currently volunteering with MATV’s Neighborhood View.